Last weekend Matt and I were at the Mall of America Christmas shopping (Don’t gasp, we need to have a bulk of it done before Thanksgiving.) 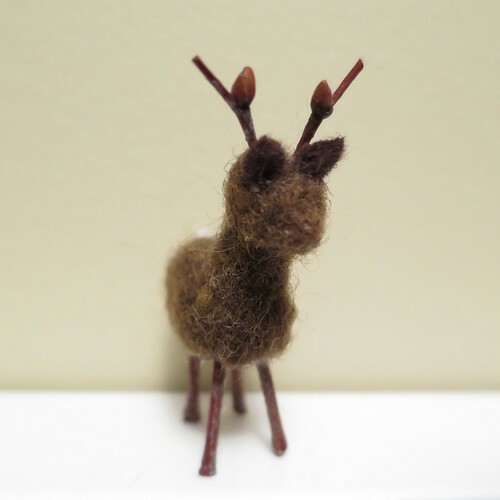 We were looking through a gift shop and saw these large felted deer with sticks for legs. I thought they would make darling ornaments if done in a smaller size. Ok, this could be my favorite ornament yet. I just think he is so sweet. 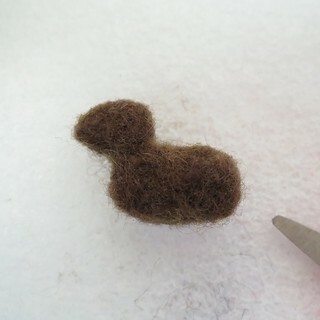 I’ve never needle felted an animal shape before, (Mainly, I’ve made simple beads or needle felted a beard on a Santa.) so I was a little nervous about how hard it would be. It actually wasn’t. Yes, it took a little time to get the shape just right, but I got it on the first try. 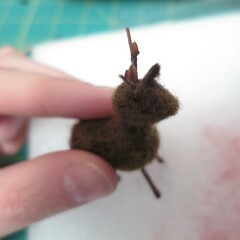 It’s a little tricky to try to explain how to needle felt the shape of the head and body, so I’ve included a lot of photos here for you to use as a guide. 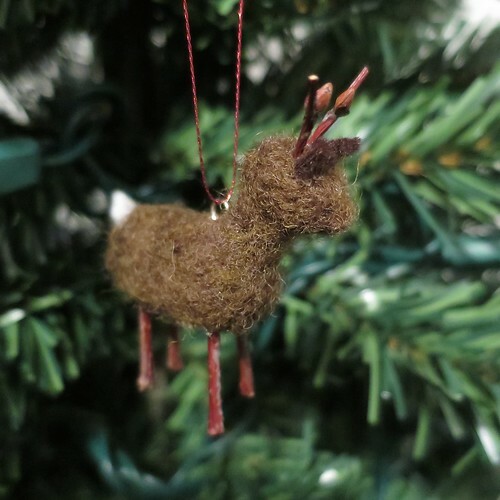 This ornament is a little on the delicate side because of the twigs inserted into it for legs and antlers. Make sure to glue them in securely, it makes a big difference. 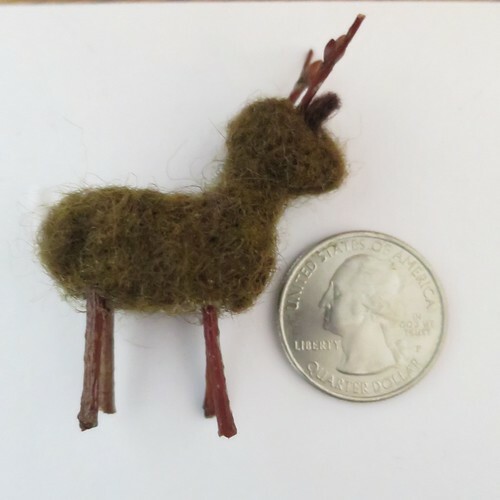 As you can see, my deer is quite small, but you could make these into larger ornaments or even do big ones for a tabletop display. 1. 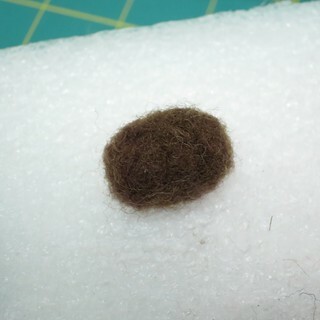 Start by needle felting the shape of the body, which is basically an oval with a flat bottom similar to a loaf of Italian bread. You can make yours any size, but mine was about 1 inch long. You want to felt until you have a nice, firm shaped. 2. 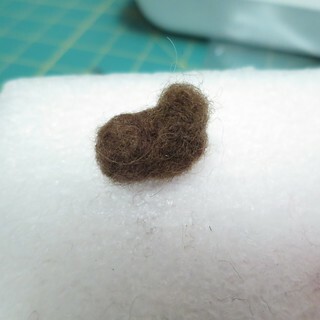 Use a small piece of roving and felt the neck shape on to the body. Leave a little loose as you will felt it on to the head as well. 3. 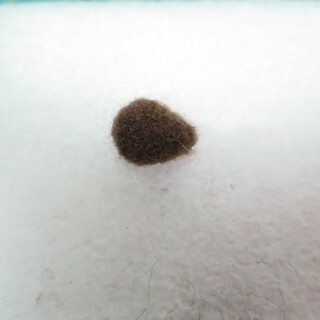 Needle felt the head piece. The shape of the head is similar to an egg with one pointed end and one rounded. 4. Felt the head on to the neck. 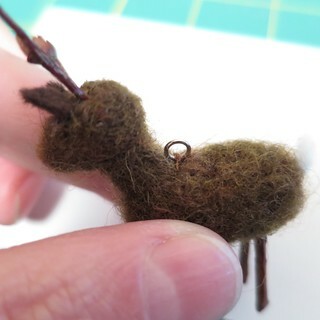 Keep working with the felting needle until the deer is the exact shape you like. 5. 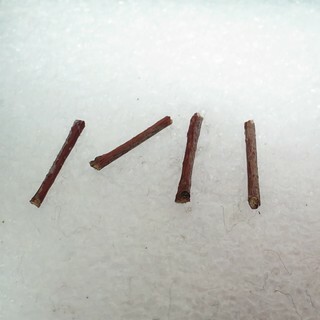 Cut four small twig the same width and length for legs. Mine were about 1/2″ long. 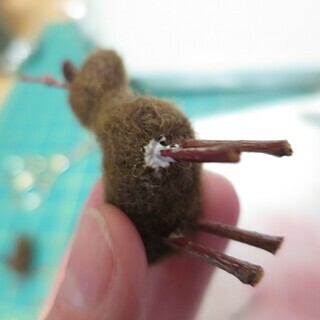 Use the felting needle to make holes for the legs. 6. 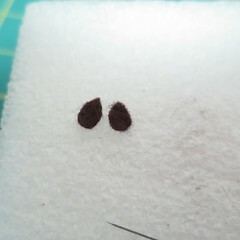 Cut two small leaf shapes from the brown felt for ears and one from the white for a tail. 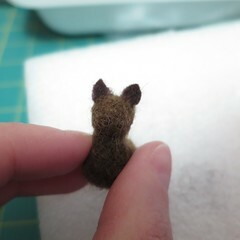 I glued the ears on and then needle felted the bottoms a little to make them stand up nicely. I just glued on the tail. 8. 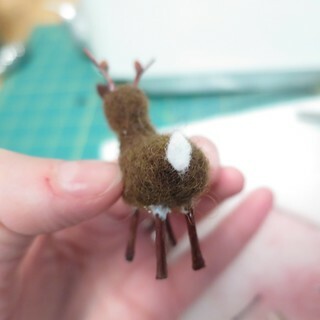 Hand sew a jump ring to the back of the deer for hanging. 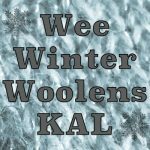 4 years ago by Kat in Advent Calendar Project , Christmas , Craft Projects , Crafts , Holiday , Projects | You can follow any responses to this entry through the RSS feed. You can leave a response, or trackback from your own site. I’ve been crazy busy this Autumn. 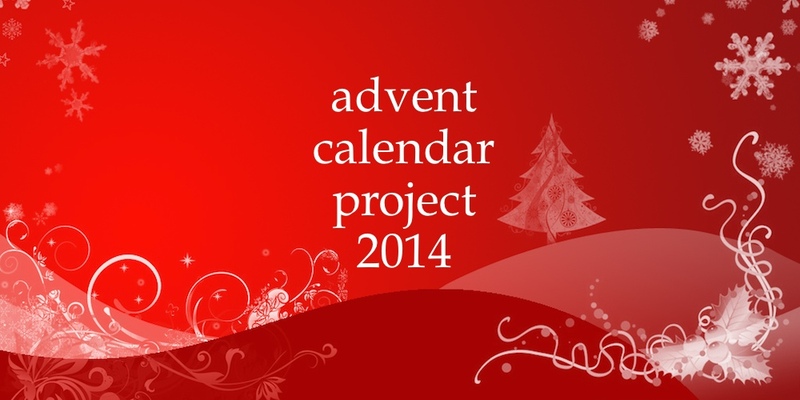 But I look forward to trying some of these projects in December when life quiets down. It is rather wee, thank you! Love, Love, LOVE this precious reindeer! 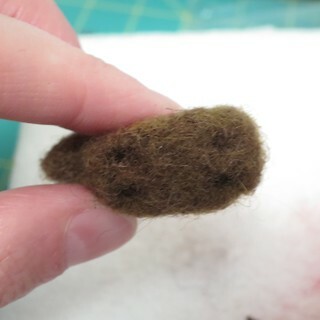 I’ve never felted but did buy a kit and your sweet project is just what I need to finally try it. I plan on making several of these to put on a miniature Xmas tree. 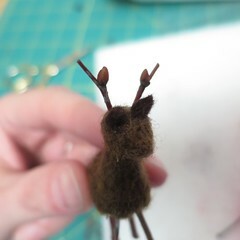 Your idea of adding TWIG antlers is BRILLIANT! ‘Makes it so incredibly sweet! 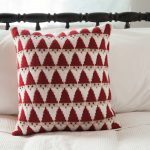 Thanks so much for the project!